Now for something a little different! 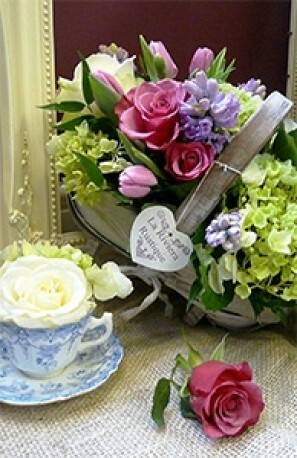 Beautiful flowers in a basket, and some in a teacup! These arrangements are ready arranged in suitable containers and very easy to keep. The recipient will be delighted with this quirky gift! Colours and flowers will vary to give you the best on the day, if you have any prefeances please state when ordering, or simply state "as picture" for something similar to that shown. 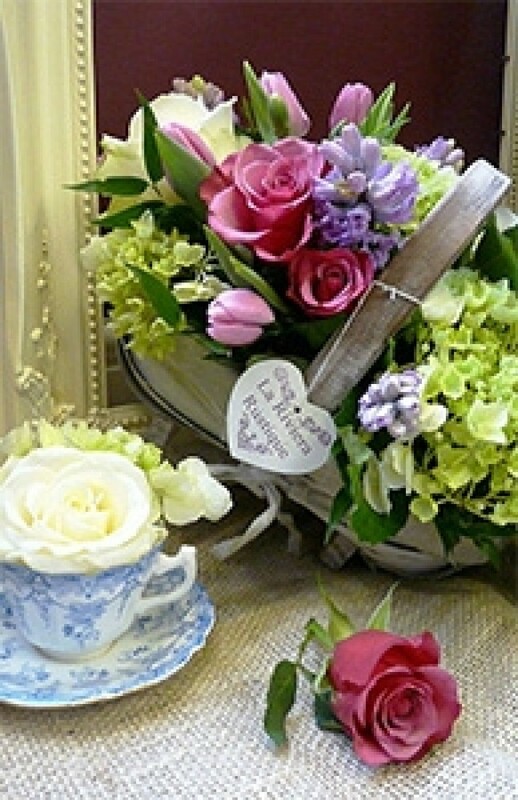 The basket and teacup will be chosen to compliment the flowers and colours used by your florist.